The growth in data consumption is complemented by the growing number of connected devices which is expected to go up to 2.2 billion by 2022 from 1.6 billion in 2017 of which smartphones are likely to account for 38%, growing at a compound annual growth rate of 15.5%. 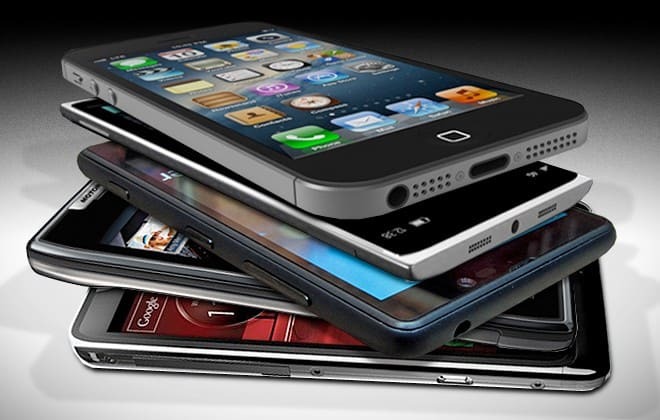 The report further indicates that this proliferation of smart devices will propel India’s per capita traffic consumption to nearly 14 Gigabytes by 2022 from 2.4 Gigabytes in 2017 and is in line with the global trend where more IP traffic will cross global networks than in all prior ‘internet years’ combined up to the end of 2016. In other words, more traffic will be created in 2022 than in the 32 years since the internet started. India will be a major driver of this with the total number of internet users to reach 840 million (60% of the population) by 2022 from 357 million (27% of the population) in 2017. “By 2022, the smartphone data consumption will increase by 5X in India – which proves the dominance of smartphones as the ― communications hub for social media, video consumption, communications, and business applications, as well as traditional voice. As the usage and expectations increases, the opportunity in the market for service providers rises simultaneously. At the same time, it is also imperative for them to modernize network and embrace the latest technologies for efficient service delivery and build capacities to meet the bandwidth demand that market is demanding,” said Sanjay Kaul, President, Asia-Pacific, and Japan, Service Provider Business, Cisco. India, there will be 840 million total Internet users (60% of the population) by 2022, up from 357 million (27% of the population) in 2017. India, there will be 2.2 billion networked devices by 2022, up from 1.6 billion in 2017. India, Smartphones will account for 38% (829.0 million) of all networked devices by 2022, compared to 26% (404.1 million) in 2017, (15.5% CAGR). India, Smartphones will average 17.5 GB per month, up from 3.5 GB in 2017. IP traffic grew 53% in 2017 and reached 3.3 Exabytes per month in 2017, up from 2.1 Exabytes per month in 2016. India, IP traffic reached 2.4 Gigabytes per capita in 2017, up from 1.6 Gigabytes per capita in 2016. Per capita Consumption will reach 13.9 GB by 2022. India, the average fixed broadband speed grew 44% from 2016 to 2017, from 6.6 Mbps to 9.5 Mbps. India, 28% of broadband connections will be faster than 10 Mbps in 2017. India, Internet video traffic grew 73% in 2017 and reach 13.5 Exabytes per month by 2022, up from 1.5 Exabytes per month in 2017. This account for 77% of all Internet traffic by 2022, up from 58% in 2017. India, there will be 1.2 billion IPv6-capable fixed and mobile devices by 2022, up from 351.3 million in 2017, a CAGR of 28%. India, total public Wi-Fi hotspots (including homespots) will grow 116-fold from 2017 to 2022 from 51.5 thousand in 2017 to 6.0 million by 2022. Smartphone users in India to double by 2022: Cisco Visual Networking Index 0 out of 5 based on 0 ratings. 0 user reviews.